Internal search is the search option on your own website. It’s, for instance, the search widget in WordPress and the product search in WooCommerce. Make no mistake: if your website has over twenty pages, your website should most definitely have that internal search option. There are a number of best practices for that search option, and I’d like to go over these, in this post. It doesn’t matter if your website is the Wikipedia of Golden Retrievers, or you simply have a blog about your three-year-old. If your website is packed with content, you’d really want to add that internal search option. When someone lands on your website from Google, for the most part, they are looking for a specific piece of information about a certain subject. If they can’t find it immediately after clicking that link in Google, there are only a few options to prevent that user from clicking back to Google immediately. You’d rather prevent such a bounce, as it tells Google that the specific subject isn’t something it has to rank your website for. OK, I’m exaggerating, but if this happens again and again, that will be the result. If your website provides an easy way to find the desired information with just a tiny bit of extra effort, you’re immediately raising the chances of people staying on your website. An internal search option is a great way to accomplish this. It should be visible. If you want people to use that search option, don’t hide it in your website’s footer. Adding it to either the top of your sidebar, or in your header, would be a much better option. It should be clear that it’s a search option. Very important. Just an input field without a heading, submit button or watermark explaining that it’s a search option won’t suffice. That already made a huge difference. But besides that, we also lifted the internal search option from our sidebar, straight into the right side of the menu. The search option is equally important for us as our shopping cart and all main menu items. If you want to decide on what result to click, you’d like to scan the results and quickly click one. 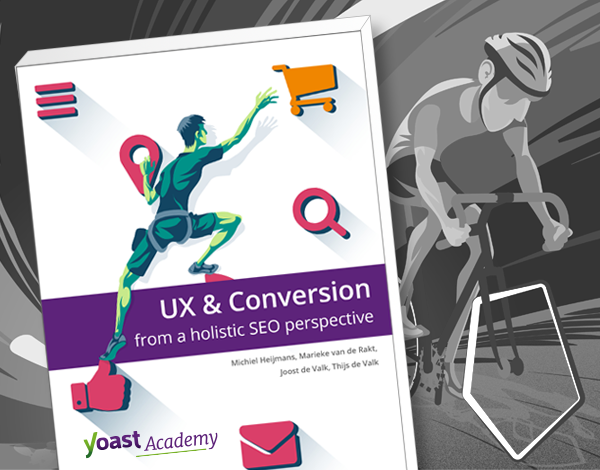 Your own search result pages are a means to an end, a tool, not a destination itself. Highlighting the keyword used in search (like Google does), simplifies scanning these results a lot. It’s really hard to pick a result when only a title is shown on an internal search result page. There’s a reason why Google sometimes ignores your suggested meta description and shows a text snippet of your page with the keyword instead. It helps your visitor. That goes for internal search results as well. To all you WordPress users out there: WordPress now orders search results by relevance (since 3.7). Make sure to update. That being said, plugins like SearchWP or services like Algolia can still help you improve your internal search function a lot, and make you manage that relevance. In the old days, WordPress results where ordered by date (newest content first), which made absolutely no sense. Serve the most fitting result first. Imagine being a search engine, aiming to serve your visitors the desired information as soon as possible. Google Knowledge Graph inserts the answer right into your search result pages. Do you think that search engines like linking to other search result pages? No. Of course not. In addition to that, Google considers these internal search results lower quality pages than your actual informational pages. 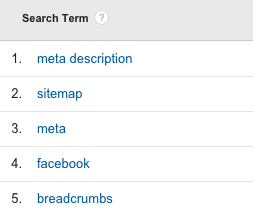 So it would make absolutely no sense if your search result pages rank above your category pages on the same subject. Your informational content pages are the pages that matter, these are the pages that should be indexed. Therefore we say: Noindex,follow your internal search result pages. There is another major benefit of a good internal search option. It can actually help your keyword research. In Google Analytics, at Behavior › Site Search › Search Terms, you will find all keywords people have used in the internal search option on your website. That’s a match, and the right page to rank for “meta description” on our website. If another page would have come up first, we should have created a new, cornerstone-like page for that keyword. Use this to your advantage; it’s your visitors telling you what kind of content they expect on your website. Google offers an option to use their search engine for your website as well. This is called Google Custom Search (GCS). With GCS, you can easily add an internal search option to your site. This option shows results like Google would show these for site:yoursite.com queries. There are options to limit this search to specific parts of your website, or even a specific page. A nice option for online shops is to limit the search results using specific schema.org types like Product. If you add a certain type, all its children automatically get included. This is one of two posts on internal search. As I mentioned in the introduction of this post, an internal search is obviously important for online shops as well. In the other post, I discuss the search option for online shops and add my thoughts on how to improve that internal search option. Are you leveraging your internal search option? How did you improve your internal search result pages? I’d love to hear your experiences and additional tips in the comments.